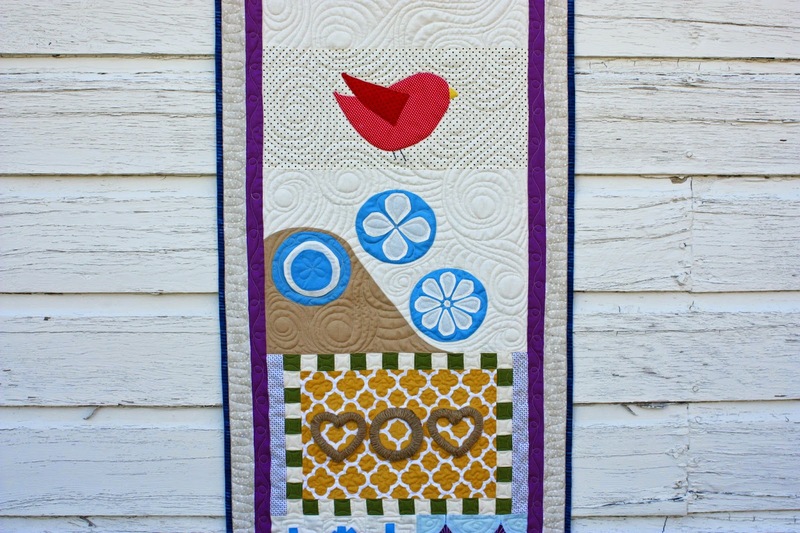 Some might wonder why I share some personal stuff here on the blog with all my quilting stuff. You know, I have no idea. I guess I just want to share a piece of myself. 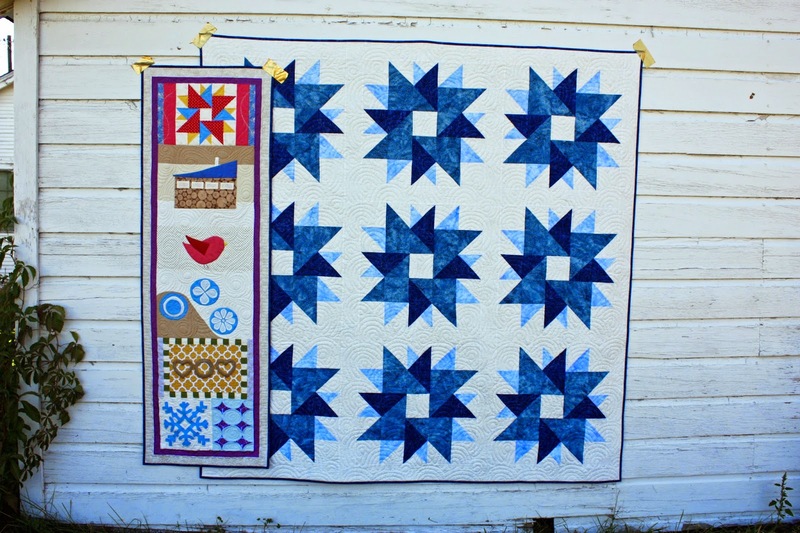 There aren't many that read this blog at all and maybe even most aren't even interested in the quilting?? I'm not sure. 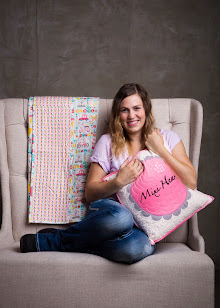 But I think that I pour a lot of my personal life into my patterns and it just makes sense to me to share that part of myself here along with them. If someone were to purchase them in a store they don't really get this version and that it totally fine because they don't really need that. So this here place isn't just a place of business, it is a place of personal journey. Today was one day in that journey for me. I am sometimes surprised by little tiny gifts. These are gifts of no monetary value. These are gifts that mean so much more. They whisper sweetly that you are not alone and that you are loved. There comes those days where you gave up the day before in a complete crushed sort of way... Then by what could only be described as a miracle you get gift after gift after gift. Today was one of those days. I got a gift of a heartwarming conversation, then a call to a sweet friend, then a visit from a neighbor, then another visit of understanding with a realization of crap I am a very weak person but in a nice kind of way, then a message, then another visit with a smile. Then a gesture from my kids. This isn't the first time this has happened. If there are angels, mine has a specific way that speaks to me. It is almost humorous. I believe. Though at times I forget that I believe and I need reminding. There is always this skeptical part of me that thinks maybe I am making all of it up. BUT, It is impossible to ignore all of that. All in one day. WOW. So at least for right now until I forget again, I know I have someone watching out for me and my family and they want to say hey you guys aren't alone. It is crazy and I am speechless and grateful. It makes me feel so weak because why am I not always strong and know everything is going to be okay. So that is me. Wipe away all that mess, because you are totally going to be fine. One day at a time. One month at a time. One season at a time. One year at a time. It will all be okay. 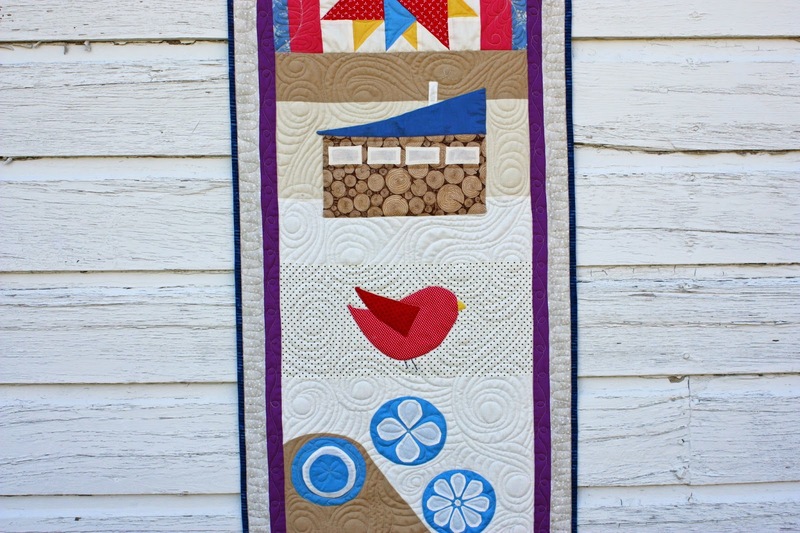 This quilt is kinda special for me. First I really love this block. 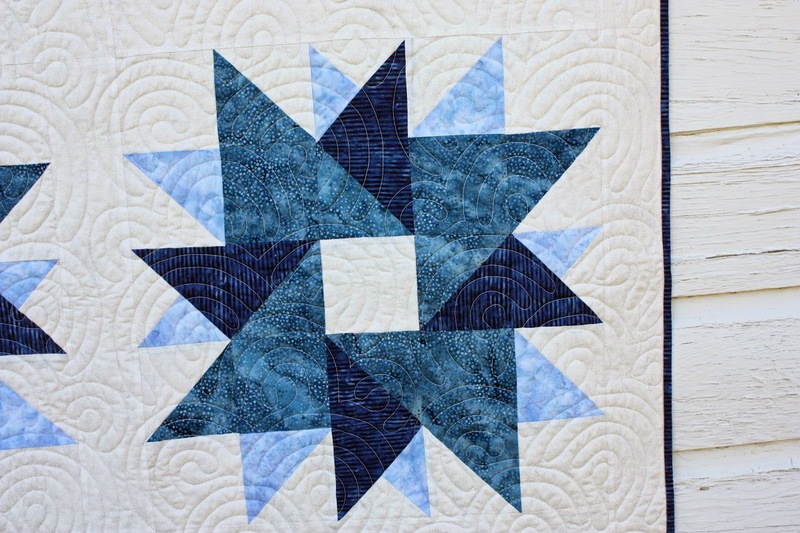 I feel like it was perfect for the Winter quilt because it has a snowflake feel to me. It is special to me because it uses batiks. 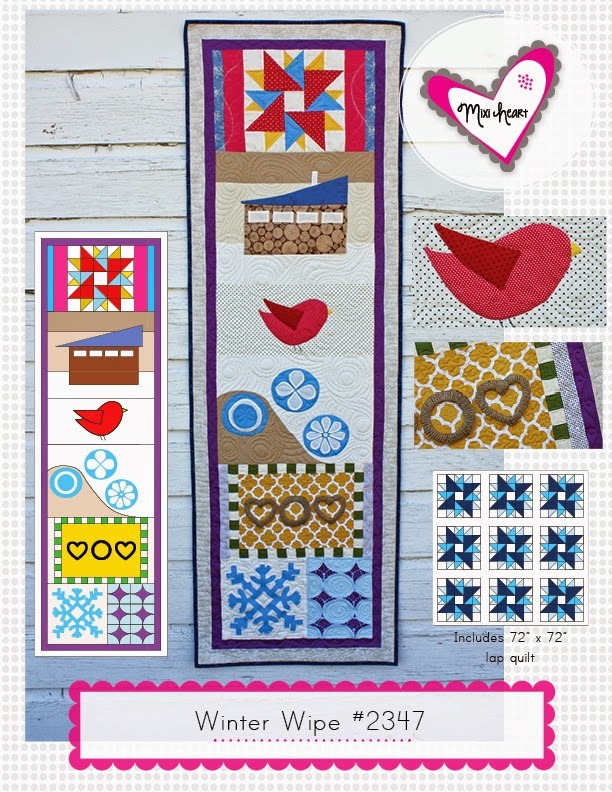 I have partnered up with Hoffman fabrics on a few projects that will be revealed at Quilt Market. 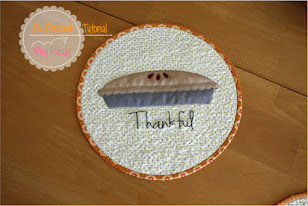 I am new to sewing when compared to most designers out there. I think? 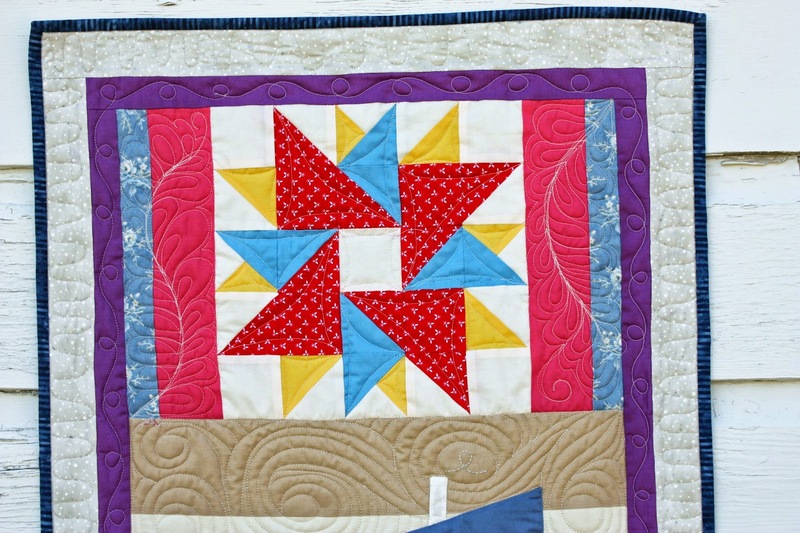 Well, I haven't had a lot of opportunity to sew with batiks. It is somewhat of a bright new world for me to try them out. 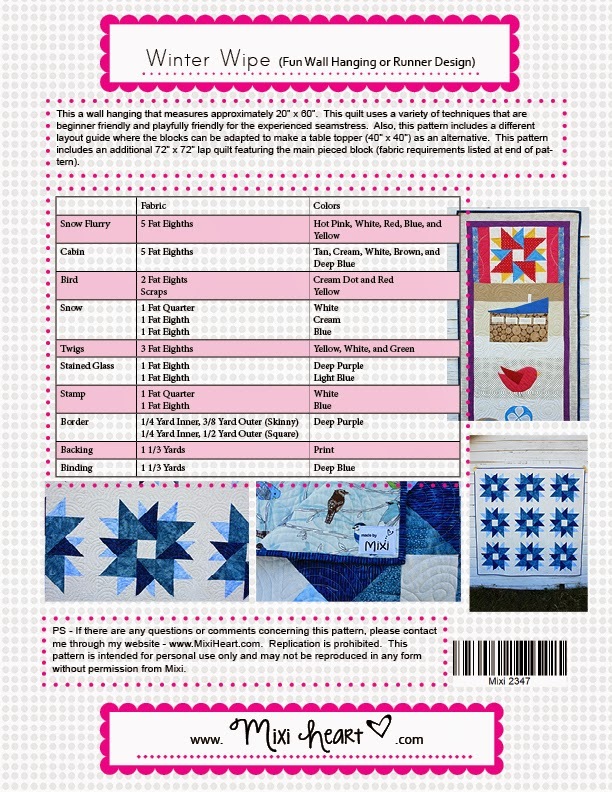 I feel they are so pretty and it one of the first large quilts I have made with them. They are so bright and true in color. 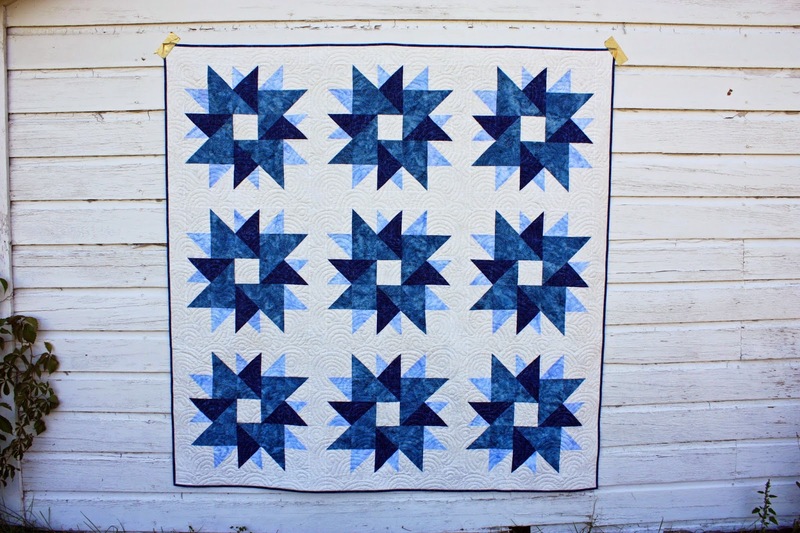 I first envisioned this quilt in all reds but the plans evolved to where I eventually decided to make it in blue. I am so glad I did! 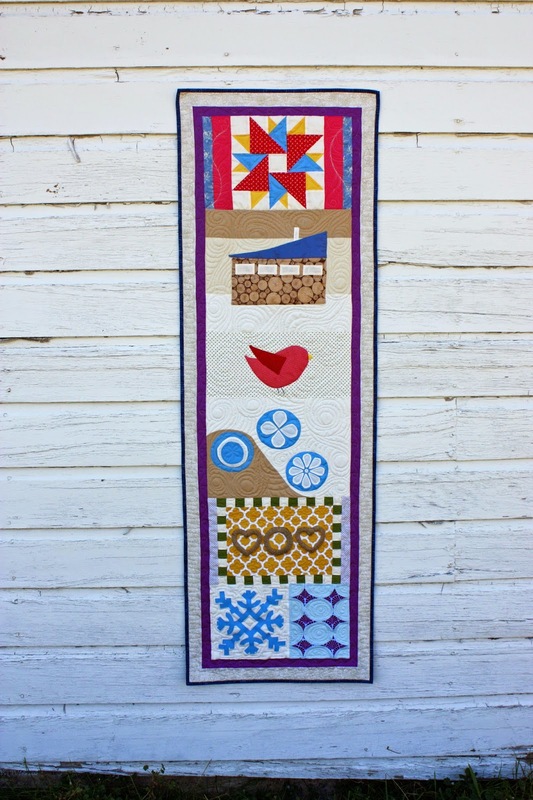 What a stunning quilt for me at least. I don't know if it is because blue is a calming color to me?? It just is neat. This Skinny has it's modern touches too. I think those modern touches worked well with Winter. 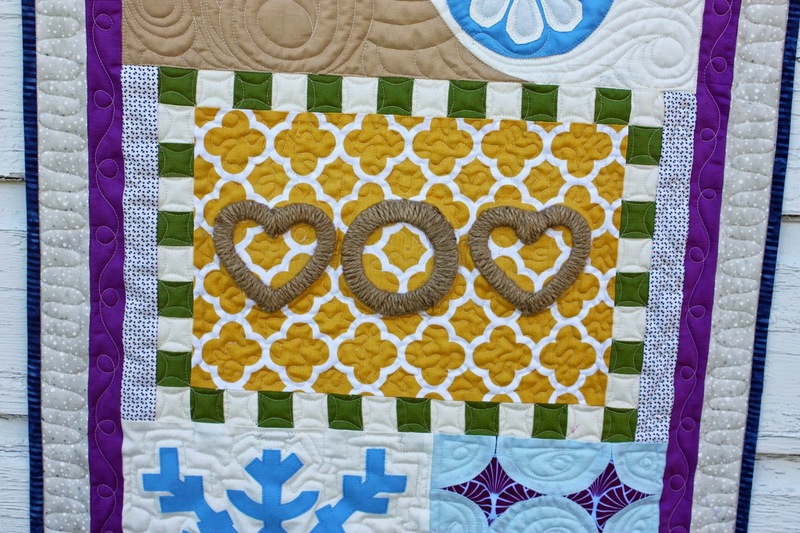 I got to try out a new quilting technique for me which is really just swirling circles. I know it has a specific name that I don't know what. They turned out pretty decent. OF COURSE, I always want to improve and I am super critical of even first steps while trying something new. With that being said, I am pretty content. 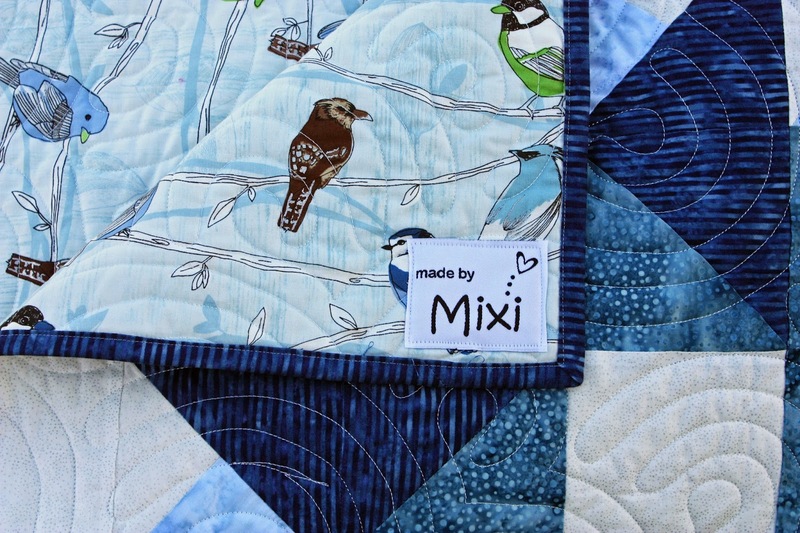 The cute twig part of this quilt for me is the twisted branch art. I have always liked that and maybe one day if I have more storage I will have myself a heart twisted branch door hanging. Until then... I will settle for one in a quilt. Lastly, here is my stamp evolved into a snowflake. And a stained glass window... which I would love to have to. I appreciate art and making beautiful things. There is such amazement I have appreciating all of these awesome gifts we get to enjoy in this world. I mean come on Stained Glass. Yes that is awesome. 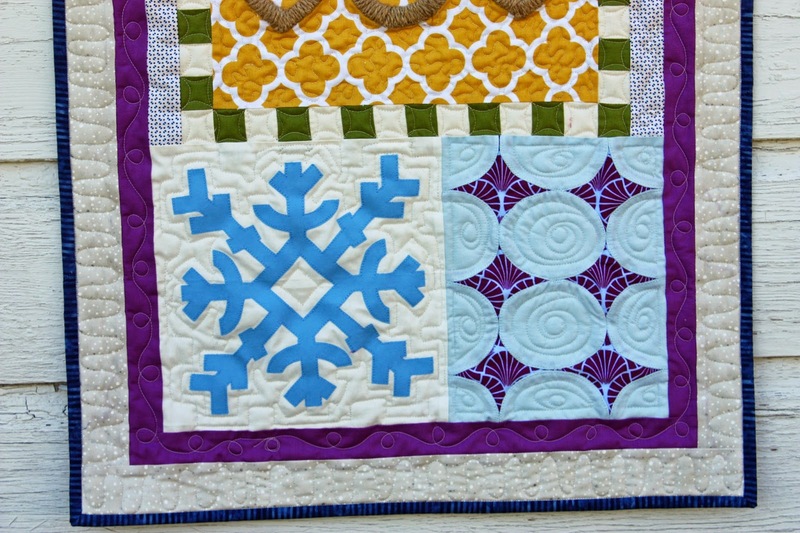 This large quilt featuring my Snow Flurry block was quilted with a swirling pantograph. I love it. I tried some feathers and it wouldn't say that it was my best feather day. Because it wasn't :( But progress is progress. 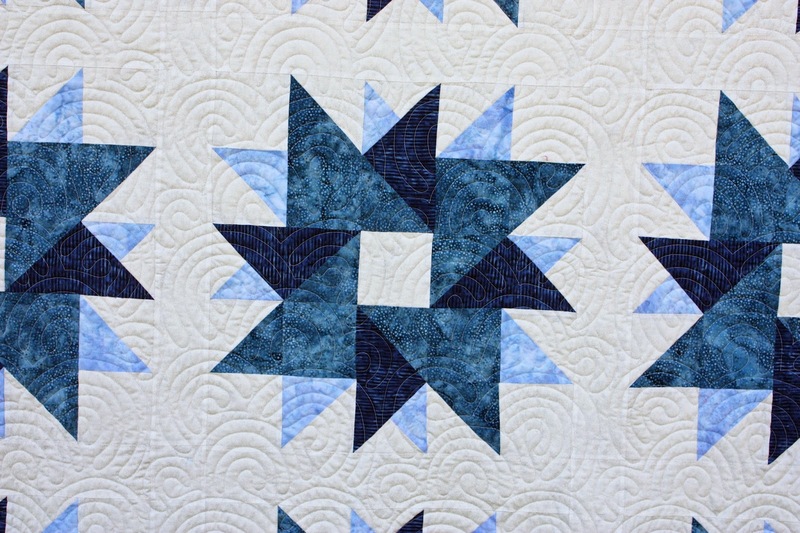 The quilt is backed with this fabulous Hoffman print. The birds are so beautiful. What I love about these fabrics which is something you could only see in person is that they have shiny flakes in it. It is just like shiny snow. PERFECTION if you could get that close.